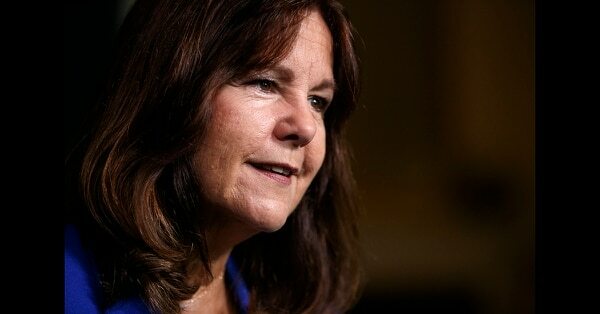 WASHINGTON — Karen Pence, the vice president’s wife, opened a campaign Thursday to help military spouses get the support and services they need. Mrs. Pence said one of the biggest frustrations that some spouses have told her about is getting a new professional license to continue in careers that require one every time they relocate, which can happen every few years for military families. In a speech to a gathering of military spouses, she pointed out that they are now eligible to be reimbursed by the federal government for relicensing or recertification costs under a defense bill that President Donald Trump recently signed into law. "Licensing is expensive," she said in a speech at the Army's Fort Carson in Colorado. Mrs. Pence also highlighted an executive order Trump signed this year to promote the hiring of military spouses by the U.S. government, and she named several private businesses that she said are working to help military spouses. "In the Trump administration, we feel it is imperative we support our military spouses and children," said Mrs. Pence, whose son is in Marine flight school. "Spouses do so much and ask for so little." She referred to them as the "backbone" of their families. In an interview with The Associated Press earlier this week, she said the challenges facing military spouses, including finding child care, can affect military readiness. Unhappy spouses can lead to unhappy service members, and they may eventually quit. Her effort is reminiscent of Joining Forces, an initiative to promote military families led by Michelle Obama, the former first lady, and Jill Biden, the wife of former Vice President Joe Biden. Mrs. Pence, whose husband is Vice President Mike Pence, told the AP that Joining Forces made a lot of progress by making states aware of licensing issues, prompting them to change the laws. Michelle Obama is imploring the incoming administration to keep her Joining Forces initiative active for years to come, even if they rename and rebrand the effort. But a recent study by the University of Minnesota found that, while state laws may have been updated, information provided by occupational boards is sometimes lacking. Some applications left out questions about military status, while some websites had no information about the transfer process for military spouses, the study found. It's an area where Mrs. Pence wants to apply her influence, though she is mindful that she has a couple of years left to try to make a difference. "These things take time. Nobody elected me, nobody voted for me. They don't want me writing policy, and I don't intend to," she told the AP. "But what I do know I could do is I can speak to as many spouses as possible and encourage them and uplift them and connect them." She said she understands a little bit of what the spouses go through, since she and the vice president have had 14 homes during their 33-year marriage. "They are such professionals, and we all just want to do what we can in this short window of time to make a difference," she added about military spouses. "Maybe it's just one thing that we can do. ... But we want to do what we can now that we have people who, you know, will take our call." Mrs. Pence also highlighted another issue Thursday: helping kids cope with having a deployed parent. 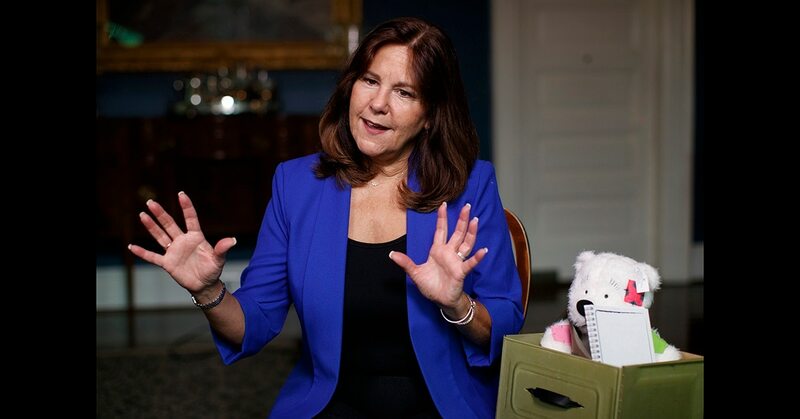 She was handing out “comfort kits” to children that include an animated video, a guided journal and a teddy bear. She and the spouses of nearly 30 members of Congress assembled 500 of the kits last week.